Hollister Premier Drainable Mini Pouch with Lock 'n Roll velcro closure. Cut to fit up to 2 1/8", pouch is 7" long. 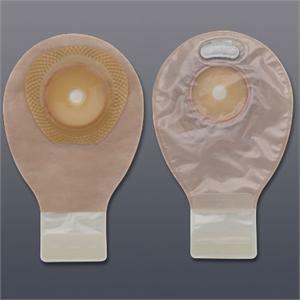 SoftFlex flat barrier with ComfortWear panel (body side only on transparent, both sides on beige). 20 per box, sold by the box.